Within my HTPC setup I’ve put in a few useful plugins. Particularly the official ABC and unofficial SBS plugin. The Australian commercial channels are now on the scene with on-demand TV available to be streamed online. Since no one else has yet – I set about taking the Channel 10 website with it’s flash video content and surfacing it in a Plex video plugin. 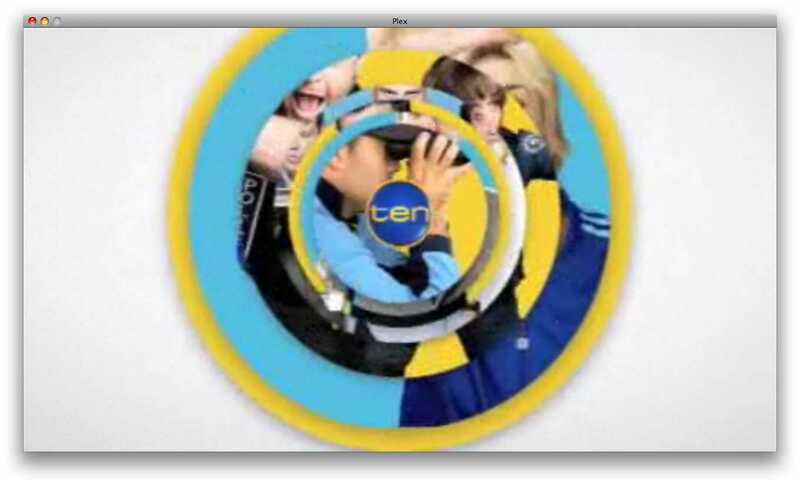 When I got stuck – someone on the forums indicated that they’d setup the menu system for a Channel 9 but were outside of Oz so couldn’t stream the video content. From novice (new to Python and Plex plugin development) to having 2 functioning, useful, plugins was pretty easy. Hopefully this will help others who want to give it a try. Of course – Plex9 is also essential. Before you start – you should check nobody else is already developing your plugin, and let others know you are starting a new plugin. Add an entry to the plugins in progress page. Take a like plugin (ie. a video plugin) and copy to a working directory. The structure is shown below. If you need to peek inside the bundle – either right click in Finder and select ‘Show Package Contents’ , or change the plugins name to remove the .bundle and turn it into a standard folder (accept the friendly OS X warning). Scrape information from the website to populate the title, thumbnails, summary for a series/episode. Ensure you have a valid URL so the requested media will play when selected. Sounds simple – but it did take a number of iterations and a few scratches of the head to work through. As you develop you will want to include calls to the Plex Log function to assist in debugging, these messages will be written to both the console and Plex Media Server logs. I’d recommend focusing initially on getting your menu structure and items working. 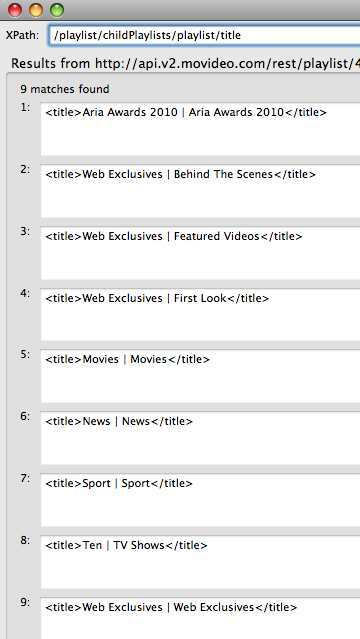 This can be done by using XPath queries against the source from the website page(s). 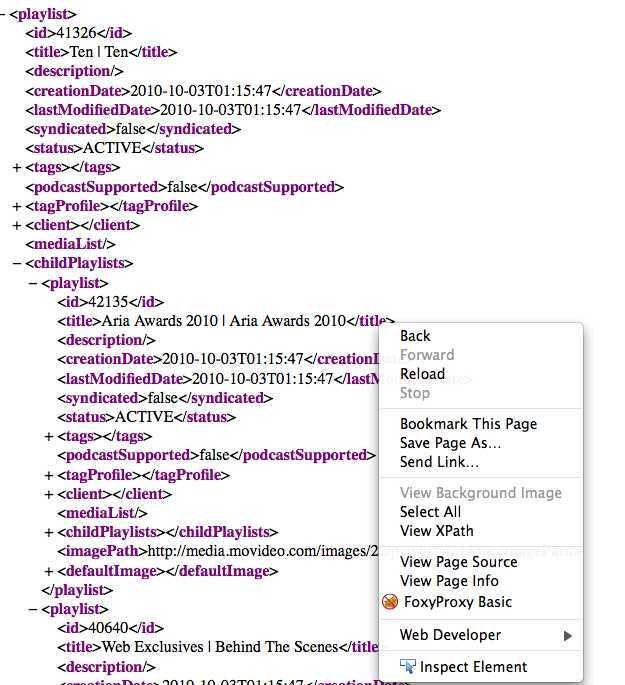 In the case of the SC10 plugin, by sniffing traffic I found the TV shows online were both displayed in elements in the HTML page, but also catalogued in XML files. Learning as I went I used the XML files, which could also be easily parsed using XPath queries. The downside to this is the web page(s) have some extra images that would have been useful for thumbnails. I’ll revisit this for v0.2. Note we’ve added to this Main Menu – the DirectoryItem CategoryMenu this function will be called upon selecting one of our items in the Main Menu. This means you can construct your own menu structure, and handle various menu selections differently if required. At some point you’ll have traversed your menu structure down to a video item you want to play – at this point in your Python code you’ll be adding a Media Item rather than a DirectoryItem. Use this when you are playing a flash/silverlight video embedded within a webpage. In my case – SC10 used flash video and Channel9 used silverlight. I couldn’t get a direct URL to a media file – so had to play the content inline within the web page. Look at the reference document for creating a site config. The downside to both Ch9 and SC10 is they hide the seek bar – so it is not possible to fast forward, pause or track progress through a show.